Welcome to GermanEnglishWords.com. 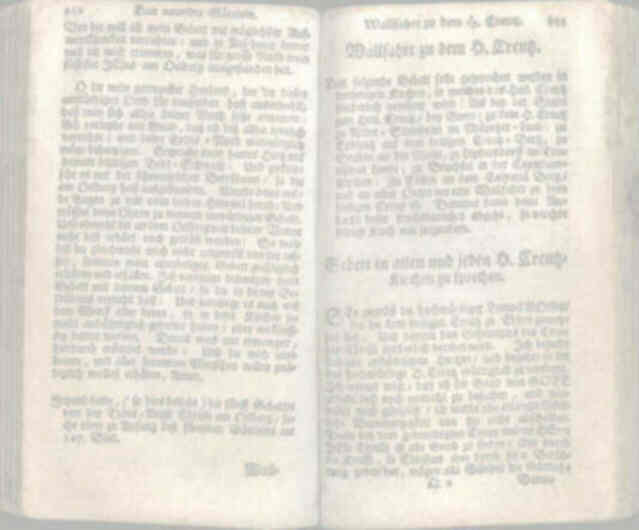 This is a dictionary of some German words used in the English language (Germanisms), each with a literal or German meaning, English definition and actual sample sentence(s) from literature and the Internet. Some German words like kindergarten are so Anglicized that they are now considered English words borrowed from German. Such words are called loan words or loanwords. Loan word itself is a literal translation of the German Lehnwort, making it a loan translation, loan translation itself being a loan translation of Lehnübersetzung. Loan translations are also called calques. Other German words like Waldsterben are still considered foreign words used in English and often describe a particular technical term. Foreign words are usually italicized. The entries in this online dictionary may sometimes have alternate definitions which are not given here. I include mostly only entries which are derived from Modern German, although some come to English through Yiddish, in which case the entries are clearly so designated. I include Yiddish words if they are fairly close in meaning to their Modern German cognates. Yiddish is a High German language written in Hebrew characters that is spoken by Jews and descendants of Jews of central and eastern European origin. Its grammar and much of its vocabulary are Germanic, but it has also borrowed many words from other languages such as Hebrew and Slavic. Yiddish became a separate language between the 9th and 12th centuries, so one cannot say it developed from Modern German, but rather it arose about the same time Old High German gave way to Middle High German. In other words Yiddish is a Germanic language in its own right just as for example German, English, Dutch and Swedish are. The word Yiddish comes from the Yiddish word yidish, which is short for yidish daytsh "Jewish German" [< Middle High German jüdisch diutsch "Jewish German"]. Another source of German words in the English language are the Pennsylvania Dutch, who are comprised of several groups of German emigrants who came from the lower Rhine provinces, Bavaria, and Saxony. They were not from the Netherlands as one might conclude from the name Pennsylvania Dutch; the Dutch part of the term is related to deutsch, which is German for "German". Since 1869 many people have preferred the term Pennsylvania German. According to Microsoft Encarta 2000 the Pennsylvania Dutch started arriving in 1863. However Merriam Webster says they arrived in the 1700s and that the term Pennsylvania Dutch entered the English language around 1824. And according to h2g2: "The first permanent settlement of Germans in America was founded in 1683, just outside Philadelphia." So the date given in Encarta is probably a typo. Of course Dutch and deutsch are etymologically related [English Dutch < Middle English Ducch, Duch, Dutch duits, duitsch < Middle Dutch dutsch, duutsch, Old High German diutisc "popular, vernacular (language)", related to Old English theodisc "speech"]; [German deutsch < Middle High German diutisch, diutsch, tiutsch, tiusch < Old High German diutisc]. In addition to Pennsylvania Dutch another example of Dutch used to mean "German" is in David Copperfield (1849), an Entwicklungsroman by Charles Dickens: "Miss Betsey, looking around the room, slowly and inquiringly, began on the other side, and carried her eyes on, like a Saracen's head in a Dutch clock, until they reached my mother." Then there is the term Dutch cheese, which can refer either to a cheese similar to Edam (therefore no doubt from the Netherlands), or to cottage cheese (schmierkase), in which case it is definitely Pennsylvania German. If you can't find the word you're thinking of or have a comment, I would love to hear from you. Knapp, Robbin D. 2011. "Robb: GermanEnglishWords.com". In Robb: Human Languages. Jan. 27, 2011.